Remote Buddy Display is a new tvOS app that lets you wirelessly mirror your Mac onto your TV. 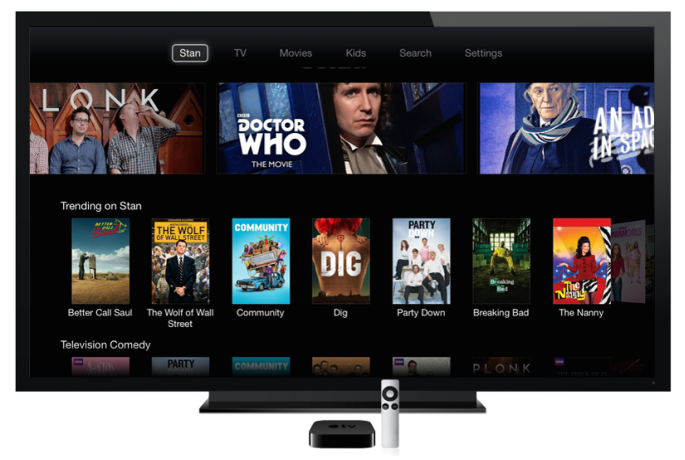 Unlike the native OS X AirPlay Mirroring and other mirroring solutions, it also enables you to control your Mac using the Apple TV’s Siri Remote. In order to use Remote Buddy Display, you will need to install a companion app on your Mac. After that you will be able to bring your Mac apps onto the big screen via high-speed screen sharing while turning your Siri Remote into a trackpad, keyboard and remote to control them. 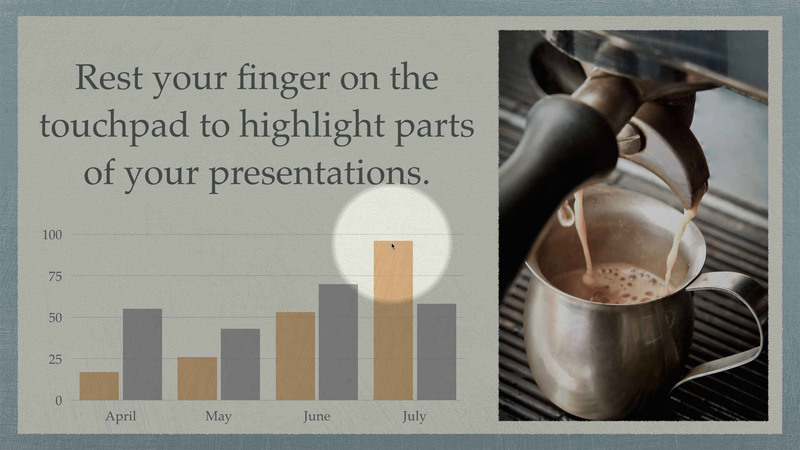 Remote Buddy Display lets you turn your Siri Remote into a presentation tool with mouse spot. 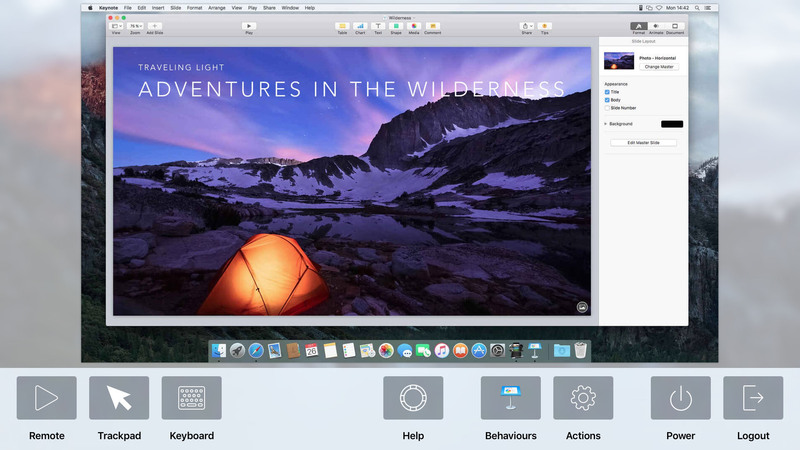 For example, you can connect your Apple TV to a projector in your conference room and use it as a shared Mac display and remote control solution for the whole team. Remote Control: Turn the remote of your Apple TV into a remote for over 100+ popular Mac apps, for which Remote Buddy provides tailor-made plugins. 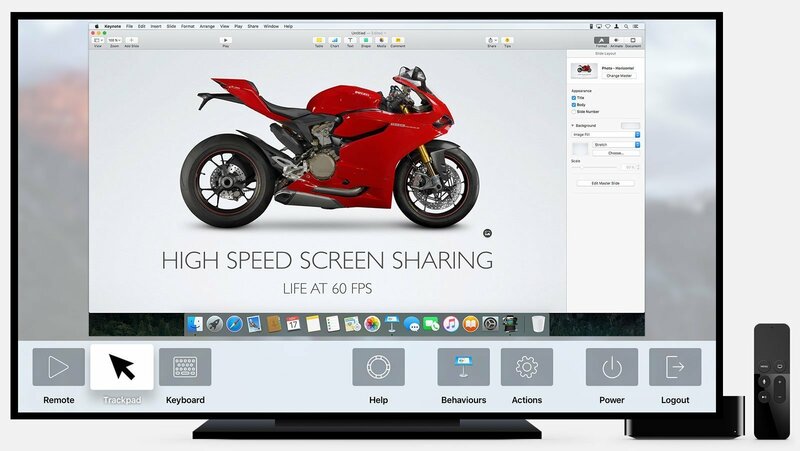 Screen Sharing: Beam your Mac’s screen right onto your TV. Remote Buddy Display uses its own high-performance screen sharing engine and protocol, developed from ground-up for tvOS and iOS, with a focus on high framerates and low latency. Audio is not supported at this time. Keyboard: Use Remote Buddy’s full keyboard to type text or control apps. Complete with character previews, modifier and cursor keys. 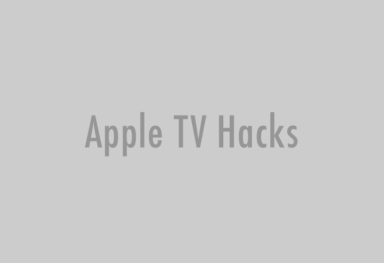 Trackpad: Turn the touchpad of your Apple TV Remote into a mini-trackpad for your Mac. Supports clicking, dragging and scrolling. Automatic Mousespot: While in trackpad mode, rest a finger on the remote’s touchpad for two seconds to highlight the area around the mouse cursor. When you’re done, just lift the finger for two seconds and the highlight effect disappears. A terrific tool to bring more life and expression to presentations – or just locate the mouse cursor on screen. Actions and App Control: Pick from Remote Buddy’s huge library of app-specific actions, launch, switch and quit apps right from your Apple TV. Mark frequently used items as favorites for quick access. Search for “Remote Buddy Display” on your Apple TV to download the app.